Treat Your Hands and Nails With Tea Tree Oil For Soft & Smooth Results! Many People today suffer from dry hands, hand sores, calluses and nail infections and have a hard time finding creams and lotions that will prevent and clear the hands and nails from bacteria that lead to infection and dry skin. The unique penetrating tea tree oil creams help to get rid of the invading bacteria. It kills off the bacteria and also soothes the infected area. 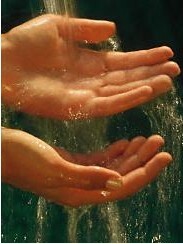 It is important to keep your hands clean so that the infected area is no longer fed by the damaging bacteria. Apply pure Tea Tree Oil directly to the hand sore or nail infection several times a day with a cue tip or cotton stick. water to wash your hands or area of infection. Dr. E.m. Humphrey in the 1930's found that the "Pus solvent properties of Tea Tree oil made it an excellent application for fungal nail disease paronychia, which if left untreated could result in the deformity and eventual loss of the nail." Dr. Andrew Weil claims that Tea Tree oil works better, and is much cheaper, than prescription anti-fungals for fungal infections of the toenails or fingernails.